Throughout the website, I will state whip to soft, medium or stiff peak. The following explains what these whipped states are! First of all, make sure your cream and equipment are cold! Start whipping at a medium speed, and once the cream has started to thicken, increase the speed. Lift the cream up, and the peaks will fall gently to one side. 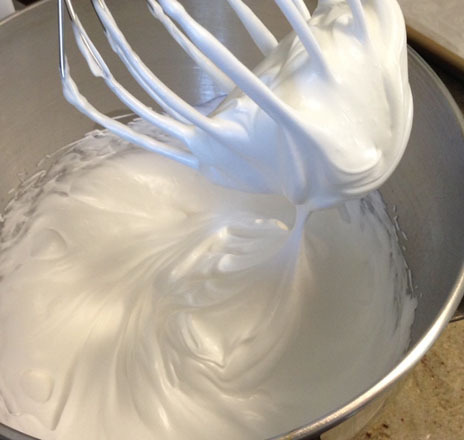 Cream whipped to the soft peak stage is normally used as a sauce to pool over (or under) a dessert. It also can be used in a mousse. This is a little further on from the soft peak stage. 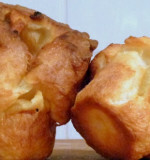 The cream is a little stiffer, and the peaks will remain lifted for a longer time than the soft peak. If you are going to add sugar to cream, it is at this stage that you should do it. Cream whipped to this stage is normally used to cover cakes and used as a garnish. Keep whipping beyond the medium peak, and your cream will start to lose its glossy look. The cream will literally form a stiff peak without falling over. 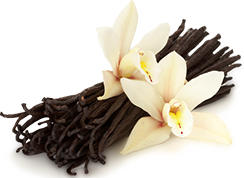 Stiff peak cream is used to make buttercream and also to top pies and tarts.